So I just returned from another trip to the Big Easy. Now I know why they call it that, it's because you can get big easy. This was my third trip down there in the last eleven months. This time I was down there for some fishing shows that we are filming as well as some meetings I had with a few of the tourism boards in the area. I was able to get out of down town and really experience some of the most amazing food I have ever had in my life. The place that I was most surprised by was Cafe Reconcile. It's a restaurant run by troubled youths. The food was unbelievable. I had a roast beef po boy with debris. I wish I had one right now. It was one of the best sandwiches I have ever had. The Cafe is supported by many local high end restaurants like Ruth's Chris and Chef John Besh. So if you've read this blog before, you probably know I have (had?) 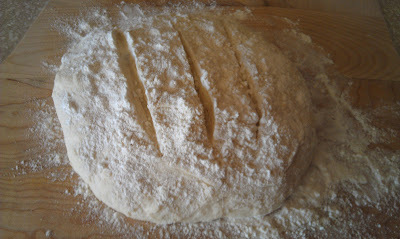 a phobia about making my own dough. Who knows why? Probably my dad's fault. Anyway, I have overcome much of that by perfecting my pizza dough (cooked in the Egg of course). 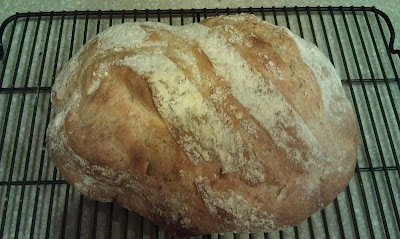 I hadn't thought much about making my own bread until I saw my friend Julia's post on Facebook about making her own artisan bread. (she has her own blog now, check it out!) 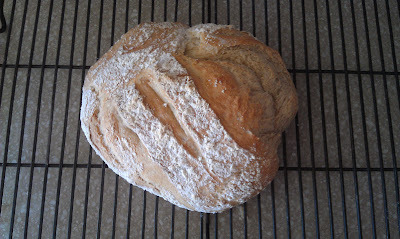 It looked so damn good that it got my juices flowing and my courage back up to make my own bread. I've tackled the pizza dough, so how hard could it be?! I ordered a great book (recommended by Julia) on Amazon and went at it. The key to this method is creating a "wet" dough, so you can take it out of the fridge whenever you want and bake some fresh bread. Very little active work and very easy. The first loaf came out and looked good, so I cut into it right away. BIG mistake. As noted in the book, and ignored by me, you really need to let it cool completely (~2 hours) before cutting it. That's the hard part! Not cutting right into it and slathering on the butter! 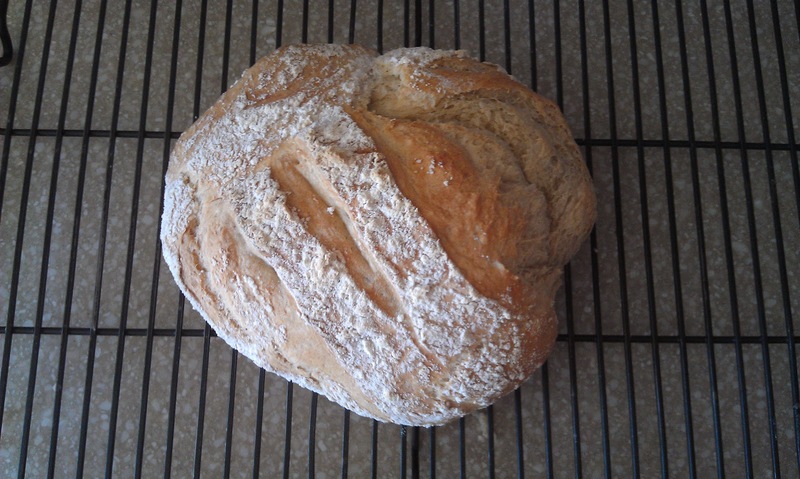 My first loaf, ready to get happy! 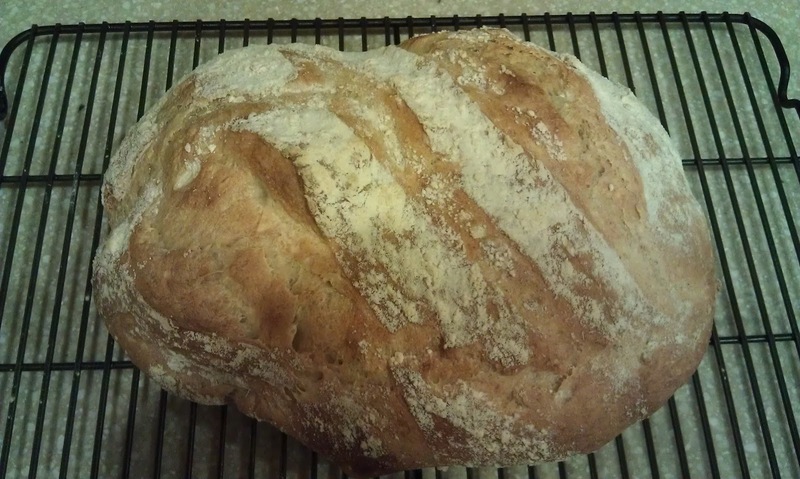 My 2nd (larger) loaf. Delicious!!! !